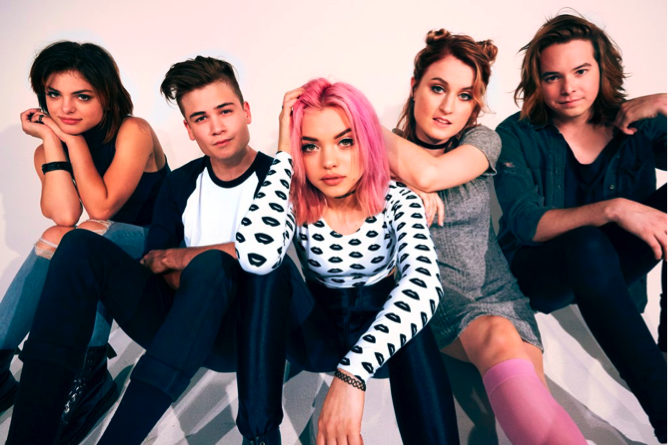 Hey Violet have released their new music video for "Break My Heart," which can be viewed below. The high school-set video was shot in Los Angeles and directed by Jesse Heath and Darren Craig for The Uprising Creative. "We wanted the video to feel like the ultimate high school heartbreak," says frontwoman Rena Lovelis. The story is told through the moody color palette and crazy visual edits which represent the intense range of emotions you go through during a breakup and shows how quickly your feelings can change moment to moment." Hey Violet will release their debut album in June 2017 on Hi or Hey Records/Caroline.